Kula means “open meadow” in Hawaiian and this accurately describes this beautiful area on the southern flank of Haleakala. Most homes are in the 1,800 to 3700 feet elevation. Kula is where you will find spectacular botanical gardens, flower and vegetable farms because of the rich soil and ideal growing conditions. Kula unique climate forms clouds as the day progresses for filtered sun, and then disappear in the afternoon winds. Kula Meadows is a 133 acre luxury subdivision in Lower Kula. Kula Meadows is a gated community with only 16 properties that are nestled at 1,000-1,400 foot elevation for cool weather. Lots in Kula Meadows range from 4.8 to 25 acres. Kula Meadows has magnificent luxury Maui homes offering solitude, exceptional quality of life and spectacular scenery. Trophy properties in this exclusive hamlet are generously proportioned with extensive exterior hardscapes that they could easily host galas and fundraisers for your favorite charities, business associates, friends or family. Live here and relax in the warmth of a crackling fireplace, sipping a very fine vintage wine with floor to ceiling windows bathing the room in sunset color and views. Some Kula Meadows homes are custom, architectural masterpieces with bi-coastal ocean views. Access to water is a limiting factor to upcountry development, but not in Kula Meadows as there is a private water system and no waiting list to develop any vacant parcels still available in this area.The homes and lots at Kula Meadows are a “must see” for discriminating buyers looking for beautiful acreage in an upscale Upcountry neighborhood. This neighborhood enjoys an excellent quality of life with a cool and comfortable climate, sunny days and spectacular scenery. Kulamalu Town center is the nearest shopping center with a Long’s Drugs Store and Pharmacy. It also hosts the Upcountry Farmer’s Market on Saturdays 7am-11am so that you can stock up on fresh flowers, prepared foods, fresh caught fish, plants and organic produce. If you like to walk on the beach, surf, windsurf, or kite surf you can take a 20 minute drive to Paia or Kanaha beach and enjoy the shoreline. The Kahului International Airport is about the same distance making travel easy and convenient. Kahului is also home to the Maui Arts and Cultural Festival which hosts major music acts, concerts, live theater, food and beer and wine festivals. The nearest golf course is Pukalani Golf Club, but if you drive to Kaanapali, Kihei or Wailea you will have many fine courses to choose from as well as beaches for swimming and snorkeling, and restaurants offering fine dining and spa treatments at resort spas. 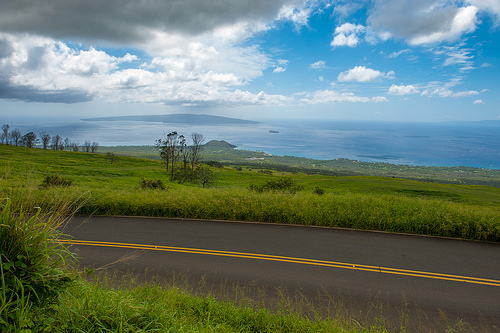 Not far from Kula you can drive to Ulupalakua where Hawaii’s only winery Tedeschi Vineyard and Maui Winery is located. It is located on 2,000 acre Ulupalakua Ranch that now raises cattle but used to grow sugar cane and host Hawaiian Royalty. Now the guest cottage that used by the Merrie Monarch, King David Kalakaua to visit is now the tasting room for the Winery. Ulupalakua Ranch Store has a deli featuring deli sandwiches using meats from meats produced on the farm. Kula Meadows is an exclusive private neighborhood that has association fees and private water fees. Ask Howard about them. Sorry, there are no listings in Kula Meadows, Kula, HI at this time.